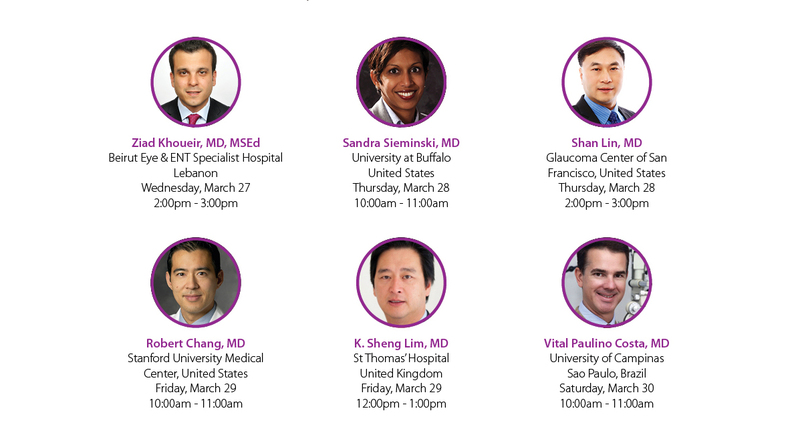 Learn from eight world-renowned glaucoma specialists how they are using MicroPulse Transscleral Cyclophotocoagulation with the IRIDEX Cyclo G6 Laser to treat earlier and late stage glaucoma; allowing them to offer a non-incisional treatment to their patients. In addition to hands-on demonstrations and one-on-one interactions, attendees will learn about clinical evidence, technique, and patient selection. Over 100,000 patients in more than 50 countries have been treated with the Cyclo G6 Laser so far, and it is used in the top hospitals in the world, including in 38 of the top 39 hospitals in the United States. This wet lab is organized by the World Glaucoma Association and is part of the WGC 2019 program. We invite you to book your wet lab participation via the WGC 2019 Melbourne online registration form. You can find the World Glaucoma Association 2019 guide on how to add a wet lab to your existing registration here. Come to the IRIDEX booth (#3) at the World Glaucoma Congress in Melbourne to speak with glaucoma specialists about their experience treating a wide variety of cases with the IRIDEX Cyclo G6® Laser in MicroPulse® laser mode. This is a great opportunity to ask questions about specific cases and results in one-on-one casual conversations. No appointment necessary. Simply stop by the booth between the hours listed below.